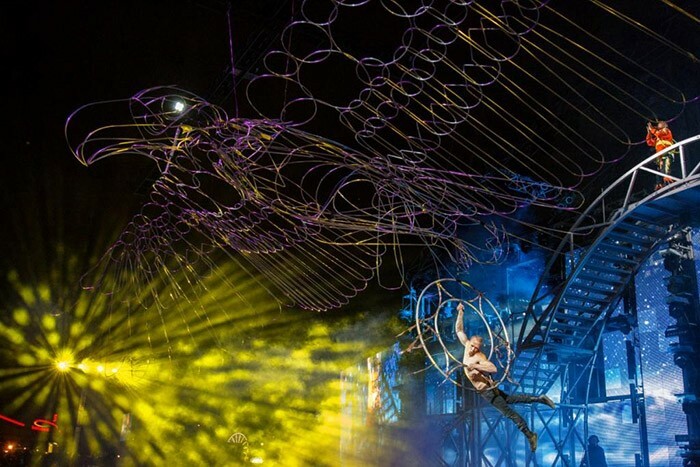 Canada – The famed annual Calgary Stampede just concluded another successful season attracting over one million visitors to the ten-day event. 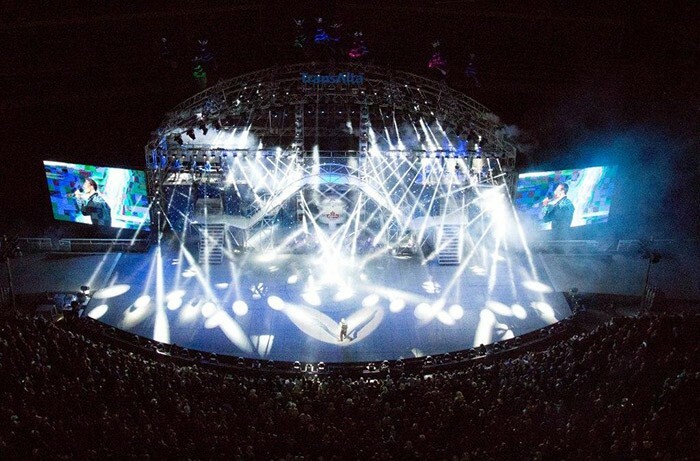 A combination rodeo-exhibition-festival, the largest fair in Canada also featured a nightly Grandstand Show, which was illuminated by Clay Paky Sharpy fixtures. Pierre Marleau of Orange Frog Productions Inc. was the lighting and production designer for the grandstand show, a role he’s fulfilled for the last 19 years. “It’s an old-style review, a big outdoor mega-spectacle,” he says. “It’s got acrobats, circus acts, video, pyro, fireworks. 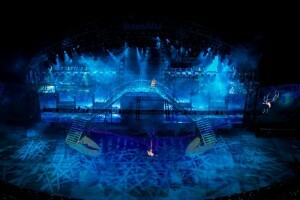 It’s one of the more complex projects we do.” He obtained the Sharpy fixtures from a new joint venture between BML Blackbird of Secaucus, NJ and Stage Lite Manitoba Ltd. in Winnipeg, which combines a 30-year reputation for serving clients in the north-eastern US with a professional team with extensive international experience in concert and theatrical touring. Marleau deployed 95 Clay Paky Sharpys, which he prizes for many reasons. “A lot of things make them a great fixture for a outdoor show,” he says. “They have to perform every night. One night we had a crazy electrical storm, and we programmed non-stop: They are so solid. The BML Blackbird/Stage Lite team included vice president operations Jim Rink and Terry Mueller, Brad Wagg and Enoch Seutter.